This update should make the new expansion's singleplayer mode more rewarding! 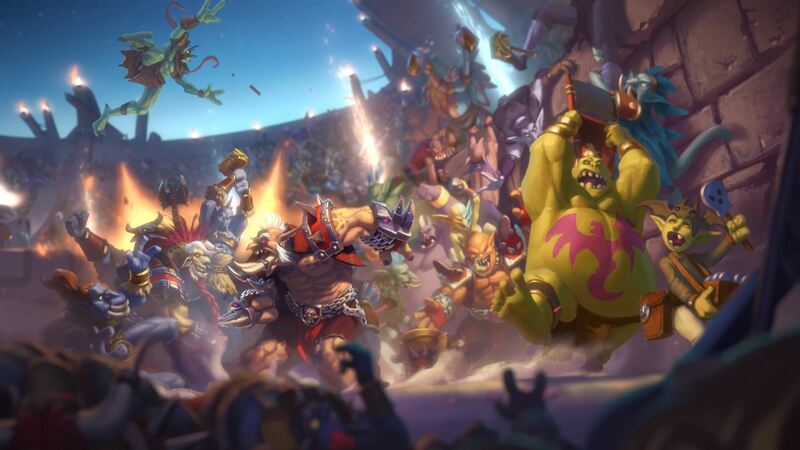 Blizzard released the latest Hearthstone expansion, Rastakhan’s Rumble, early last month. And while it did bring exciting new cards and mechanics, its single player mode — Rumble Run was seen as a disappointment by a number of Hearthstone players, mostly because it isn’t exactly the most rewarding game mode. Good thing Blizzard took steps to remedy the single player mode in the latest Hearthstone update. The new update brings changes to Rumble Run as well as the Arena. Arena Updates – The appearance rate of each individual card available in Arena have been adjusted to ensure the overall win-rate of each class remains as close as possible to our ideal of 50%. Weighted Card Rewards – We’ve increased the possibility of synergistic cards for the chosen shrine to appear more often. These adjustments to the card bucket offerings and adding bonus buckets will help strengthen the experience of fighting in the Gurubashi Arena, allow players to get to know the nine troll champions, and give each run its own strong theme. Boss Deck Adjustments -We’ve pruned some of the power from the boss decks so that Runs will play out more moderately. Rumble Runs are now a little easier, but more importantly, they’ll feel fairer. Shrine Selection Changes – With this update, whenever a Run is lost, the player will always be offered the shrine they just lost with. The shrine that the boss used to beat the player in their last run will continue to be offered as well. These Rumble Run updates should mean that players will now have more reason to play through Rumble Run. Here’s hoping Blizzard continues its good support for Hearthstone, and hopefully not make the same mistake as was the case in the HotS debacle last month.